The Free Burma Rangers estimate over a four-day period (27 to 30 May) the Burma Army have been involved in at least 11 attacks in Kachin State. 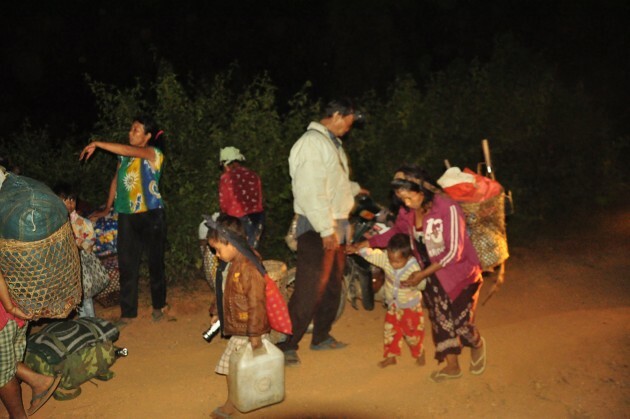 Despite the FBR reports, peaceful demonstrations, human rights groups condemnation and the ASEAN regional alliance the government’s newspaper, The Global New Light of Myanmar ran a front page story deflected the outrage by detailing small amounts of aid distributed by the Ministry of Border Affairs to villagers in the conflict area. Mr Baulk demanded the government stops its media stories whitewashing the military’s war on ethnic civilians and start a genuine political dialogue.